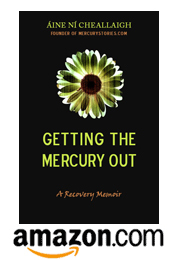 When I open up my journals and read about the year leading up to amalgam removal, I’m struck by how many entries talk about sickness or discomfort of some kind, and yet I had no idea that I was mercury toxic. In fact, I considered myself extremely healthy. When I examine those symptoms now, I see them as evidence that I was pretty sick. What 31-year-old gets painful varicose veins, and can’t digest half the food she eats? And yet, this period is enshrined in my mind as the healthiest time in my life. So which was it? Was I healthy or was I sick? I see people around me doing what I did then. I see them taking echenacia or zinc for the latest in a string of colds or sore throats. I hear them announcing that they’re giving up red meat or sugar or wheat (“because nobody should be eating that stuff! It’s not healthy!”) And I usually buy the PR that they’re “healthy people”. Why not? I bought my own story back then too. I was “healthy” because I was living a healthy lifestyle. The truth was, that healthy lifestyle were necessary because I was already quite sick. It makes me wonder. It shouldn’t because I was still mercury toxic. It shouldn’t because I was still inhaling mercury vapor from my teeth every single day. I had no idea that this was behind every single one of my various health issues, both small and large. I kept stumbling around, blindfolded. I was trapped in a room with a great big health problem, and I couldn’t quite identify it because I’d never heard a description of this animal called “mercury toxicity”. I thought I was facing a collection of much smaller beasts. When I grabbed the trunk, and it fit the description of “hypoglycemia”, I worked flat-out on fixing that problem, vaguely hoping my efforts would help banish the smaller pests that lingered too. These “smaller pests” were four pillar-like legs that felt like food allergies, and ears like seasonal affected disorder, and tusks called poor circulation and constipation. And a great big gray wall of mood issues. I sometimes wondered if they were all connected. If they were, what was the whole beast called? And what could I do to get rid of it? At other times, I believed the theory that I was just “delicate.” I was a highly sensitive person who couldn’t be exposed to the rough food and harsh emotional ways of “normal” people. If I protected myself by limiting my exposure to things I couldn’t handle, I’d be fine. And so I worked both angles: accepting who I was and what I was like, while at the same time exploring theories of alternative healing that might shine a light on this beast I was grappling with. The funny thing was, at the time of amalgam removal, I still didn’t realize that I was mercury toxic. That’s how invisible the mercury beast is. I didn’t know that I was ejecting the single root cause of all of my problems. I was banishing the beast, and I wouldn’t even see that until its ghost would begin destroying my physical and emotional health six months later. I wish I’d had some warning. If nobody talks about these things, how can we possibly identify them? 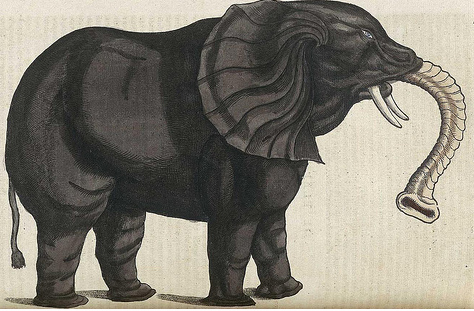 I see the book I’m working on as a kind of field guide to that elusive elephant. I saw him up close, and this is how I got out unharmed. Maybe it will help others get out safe too. Aine, your Blog is faboulus. I am a Guy from germany who has been ans is suffering from Mercury toxcicity. Your writings describe exactly how i feel and how i felt. Thanks for sharing your experiences. By this many Mercury victims will Know that they are Not alone and that they are No “Freaks”.